Computers are now essential for everyday life. Whether they are for commercial or personal use, computers can fulfill almost all the functions industries or individuals require. 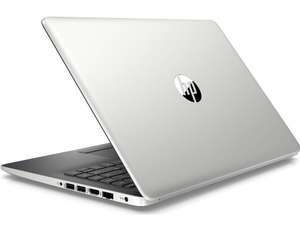 Finding the right computer can be complicated and time consuming, considering a wide variety of computers out there. hotukdeals' computer listing can help customers compare prices and capabilities easily. 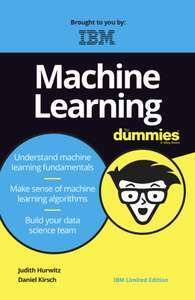 Get yourself a Free copy of Machine Learning for Dummies by IBM. Digital Download in PDF Format. This is an abridged version. Don't confuse it with the one listed on Amazon. This one has 68 pages whereas the real one on Amazon has 432 pages. How can you just state things that are blatantly false? Most if not all 10tb WD drives in either elements or My Book format contain white label helium drives. My books are a bit more difficult to shuck due to their case design. I shucked 2 10tb WD elements earlier this month and both were white label drives. I am not even aware of 10tb being available in the blue range unless you have a reliable source to refute that? You are correct about the warranty difference, although the moment you shuck the drive; that is the end of your warranty. No, the £195.99 is a promo price which cannot be stacked with the discounts you mentioned. Those discounts will only apply to the regular price of £219.99. This has been discussed before on previous WD threads. How'd you backup to S3 easily? It doesn't - 2 very different use cases. Chrome OS needs to fit your use case. It doesn’t. That machine is useless. Fun game, needed to be a few hours longer though. How lucky I've been. 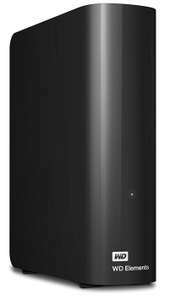 Still have a Seagate Barracuda 2TB as the only drive in my old Dell desktop in a dusty bedroom since Dec 2011. Just looked up the Amazon order. Desktop is on 24/7 365 except for everyone away from home holidays. Keep meaning tp replace it with an SSD. I think it was the trip past the neutron star that did the most damage. So any1 going for this laptop? 1. You're welcome. 2. On my aforementioned hp14: 2.1. Windows Quick Scan 1m 10s for 24791 files. 2.2. malwarebytes free 1m 31 for 266914 items. 3. You might want to also consider the huawei-matebook-d-14. Often £560 on Amazon 3.1. See Huawei D14 previous post. 3.2.1. Owners of the H D14 have commented on that thread. 3.2. Many on here like the look of the H D14. See other hukd threads. Many tech reviews to google. Anyway, good luck with whatever you decide to buy. Second hand so brilly would say. 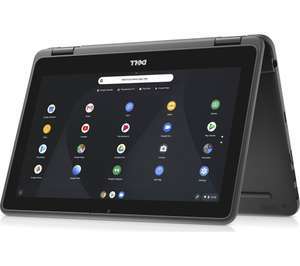 Used an i3 one of these and it's really nice. Screen, keyboard and trackpad are all better than most for this price. Weird, I have an AOC monitor (not this one) with the same 48-75 Freesync range and it works perfectly on my GTX 1660. Yeah on this albeit using an Nvidia GPU (2060). Hasn't it always been this price jumping between £22.99 and £23.99 daily? Oh man, you just embarrassed yourself in public. Ridiculous spec. They must be looking to dump those (not very suprerior over i5 performance) I7 chips. Bit like having a Ferrari engine in a Morris Minor running on 4 flat tyres. Agreed, the vast majority would be better served by an i5 8250u, Full HD screen and SSD. I wouldn't rush out and buy this model just to get an i7 badge. Just like others have said, not 1080p. Everything else is "Look, my new phone has 4k/ Quad HD/ 8k and Eastenders on my 6 inch screen looks amazing! I also need a new laptop, so reading pages of text on a 15.6 inch screen with 768 pixels will be fine" Is it just us who INSIST in Hull HD? I would understand it in a budget laptop, but do you really need to spend £600 on an identical spec laptop JUST for the screen upgrade? I have a SSD in my work laptop and a HDD in my 5 yrs old personal laptop. There is no way I will buy a new one now without a SSD. Not with a 1TB mechanical drive... It's 2019, that will be s very frustrating experience even with an 8th gen i5.